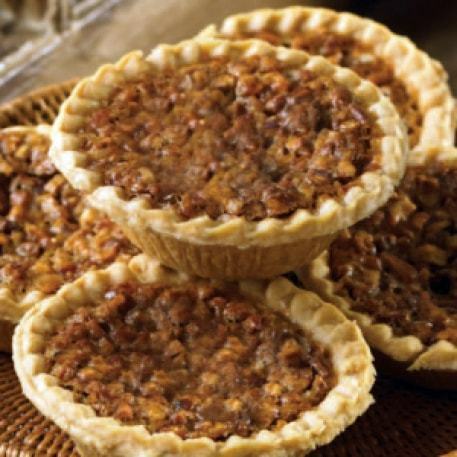 These little pecan pies (we call them Mini Pecan Pies) are exact replicas of our larger Old-Fashion Pecan and Chocolate Pecan Pies. They're just the right size for nicely presented individual desserts. You could also call them a pecan tart. 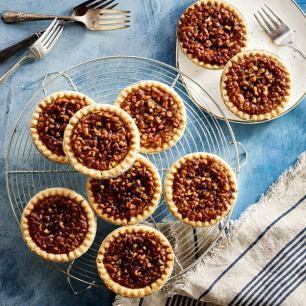 Like all our pecan pies, these little ones stand out for their combination of taste and appearance. 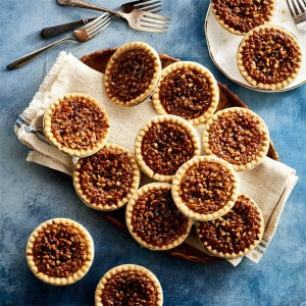 Enjoy that wonderful pecan smooth flavor -- and trust that each mini pie will nicely hold its shape when served on a plate. Economy Packaged -12 individual Mini Pies. I always give these as a requested gift to my relatives. They enjoy them. 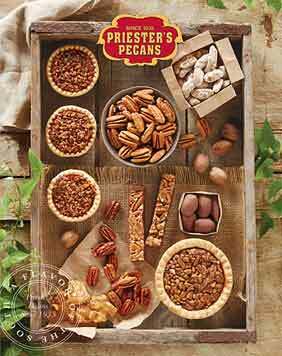 This is the second time I have sent my Mother a box of the Mini Pecan Pies. Loved them the first time, and now the second. She was glad she had them to share with company. Will be ordering again.